Italians are generally known to be quite passionate people. Passionate about their food, passionate about their drink and, more importantly, passionate about their automobiles. The emotions that their creations evoke are nothing short of heart-stopping. 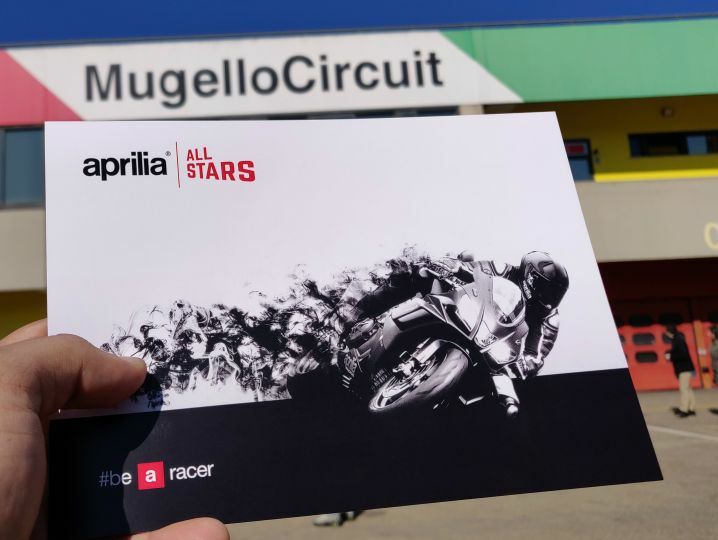 We got to witness a bit of the fanaticism of Italian machines when we made it to the first edition of the Aprilia All Stars event at Mugello. And while we loved absolutely all of the two-wheelers on show, here are five bikes that stood out. MotoGP motorcycles are the pinnacle of two wheel evolution. Even though Aprilia is a young player in the championship, it has always found itself consistently bagging strong points finishes in the past few years. The bikes pictured above are the 2018 (background) and the 2019 (black colour) racers. Two stroke race machines are always a delight to watch. Especially when it is one of Aprilia’s favourite sons, Max Biaggi, and his 250cc championship winning RS250 from 1995. You see, Max was the big thing from Italy in 1995. He won the world championship in convincing fashion, winning 8 races out of 13, finishing on the podium in another 4 races. His only non-podium finish was in Japan where he finished 9th. We were lucky to see the bike fired up in Mugello with a thick cloud of two-stroke smoke spewing from the exhaust. Sadly Biaggi could not ride past the pit exit as the bike coughed and sputtered out.